The Sprinter name is somewhat of an institution in the van market, having been around for more than two decades. Although you won’t get the same level of premium feel in the Sprinter that Mercedes offers in its passenger cars, the cabin, level of safety kit and driving ability are all of a high standard. 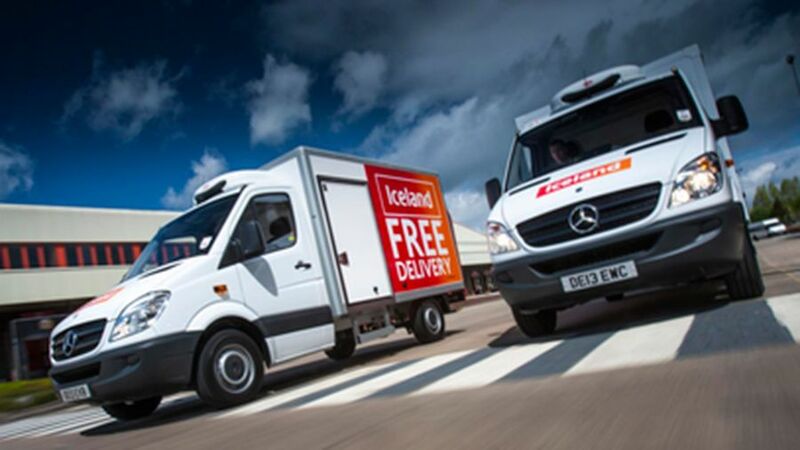 There is a wide range of Sprinter body shapes and styles available, and a varied selection of drivetrains and engines. With 108 different combinations, there is likely to be a version that suits. Interested in buying a Mercedes-Benz Sprinter? 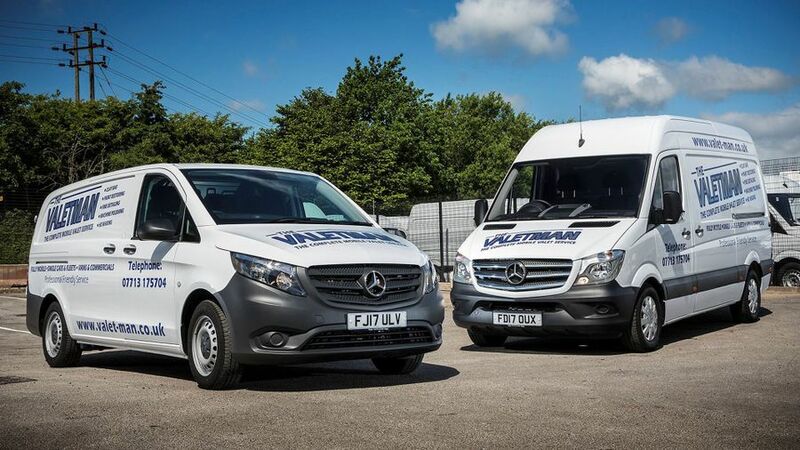 There is a massive array of options available in the Sprinter range, with four different lengths of wheelbase, three different heights and several different options beyond the standard panel van. A dropside, chassis cab, crew van and tourer bus are all offered. The capacity on offer ranges from 7.5m3 in the 3250mm long/short model with the standard roof, up to 17m3 in the 4325mm-long extra-long model with the super-high roof. While this is generous and equal to the likes of the Vauxhall Movano, it's not quite the biggest available, with the new Volkswagen Crafter pipping it, with 18.4m3 on offer. The space inside is even and consistent, with a maximum width of 1780mm, which drops down to 1350mm between the wheel arches. The versions with a 4.6-tonne gross vehicle weight also come with a single rear wheel, so as to minimise intrusion into the loading bay and maximise the space available. The rear doors will swing out to 180 degrees as standard, although if you head to the options list, you can buy doors that go all the way around to the side wall. Getting into the load bay is made simple by a side door that opens and shuts easily, and can be operated with one hand. An electrically powered version is available, too, if you mount a further raid on the options list. The storage options in the cabin are decent, but not as good as in some rivals like the Crafter or Renault Master. Although there is a welcome storage bay above the windscreen, a clip on the dash for holding documents and several cup holders and shelves, a couple more sealed cubbies, or pockets in the door, would be good. It’s too much to expect a van to match up to the cars that a manufacturer produces, and the Sprinter certainly doesn't offer the same standards as, say, a C-Class. However, it does offer a higher level of fit, finish and materials than you might expect from a van. Everything you touch, including the chunky steering wheel and gear lever feel durable, but without feeling utilitarian. As in many Mercedes passenger cars, the lights and indicators are controlled by a single stalk by the wheel, which will take a bit of getting used to for those that are not familiar with it. The high-set gear lever is easy to reach, though, even if the low-down hand brake is not. The standard-fit seats are comfortable and supportive, with a great range of adjustment that allows taller and shorter drivers to get comfy. That the steering wheel goes in and out as well as up and down is a welcome touch, too. The latest version of the Sprinter comes fitted with stop/start technology as standard – something not every rival gets. It also gets low-rolling resistance tyres and an intelligent alternator that helps lighten the load on fuel. Despite this, it's still not the greatest when you look at official fuel economy figures: the vast majority of Sprinter models only have an average economy in the late 30s, which is not great when some rivals nudge into the mid- or even high-40s. Like all Euro 6 vans, it needs to be topped up with AdBlue, although an 18-litre tank means that Mercedes says it will only need to be refilled after every third refuel of diesel. And, the massive 37,000-mile service interval will go a long way to help keep costs in check. That 37,000-mile service interval will help provide reassurance to many owners, and a three-year, unlimited mileage warranty does a lot to back it up. The Sprinter’s longevity as a model is testament to its durability, too. The Sprinter comes with a 2.2-litre diesel in various states of tune, with power outputs of 112PS, 140PS and 163PS. The mid-range 140PS version is the one that makes up the majority of sales, and it is easy to see why. It sits comfortably at high speeds when empty or holding light loads, and has more than enough pull to be able to cope with carrying heavier cargo. It's flexible enough to mean that you won’t need to drop down a gear all the time in town, either. While the engine is not exactly quiet, the insulation does a good job of keeping the noise from the engine out of the cabin, even under heavy acceleration. The only point it really builds up is on the motorway. If you want real performance, then the 190PS V6 diesel is one of the most powerful on offer in the large van sector. 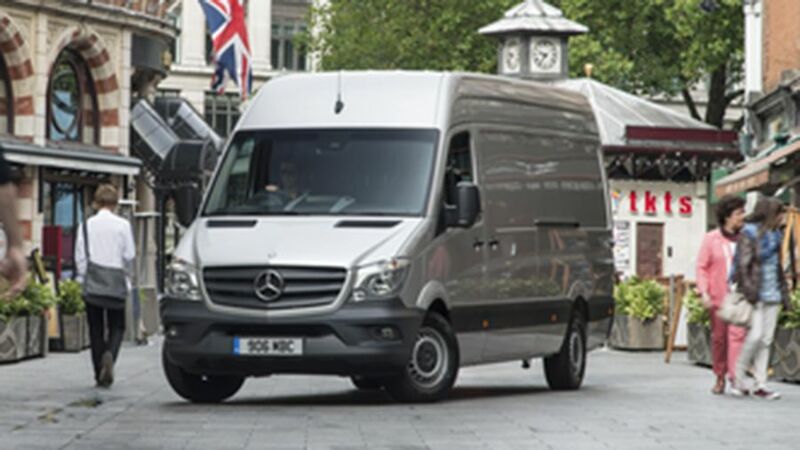 The Sprinter is a fantastic van to drive, both around town and on the motorway, and with steering that is accurate, and neither over-responsive or unnecessarily heavy. Town driving is made that bit easier by the smooth gearchange and the excellent visibility: the blind-spot mirrors give a great view down the side of the vehicle, while that gearchange is helped by the lever being conveniently placed high up on the dash. The ride is steady and controlled, even with an empty load bay, and the Sprinter is impressively refined at higher speeds, too. The Sprinter keeps enough wind- and road noise out to create a relatively relaxed atmosphere even on the motorway. 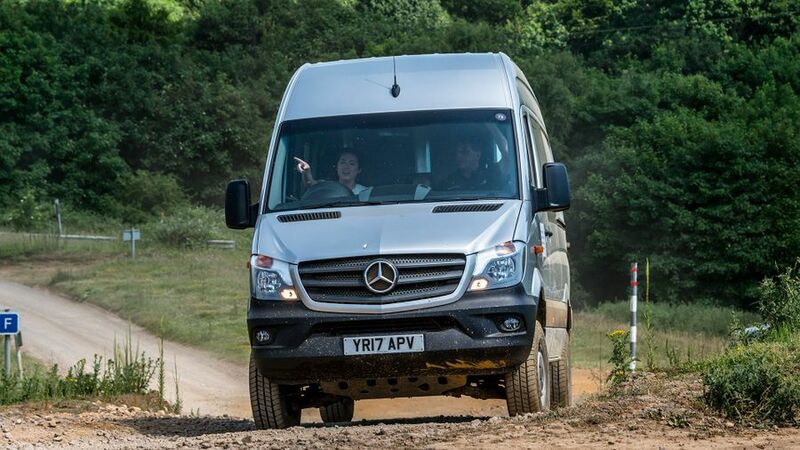 The Sprinter offers a fantastic array of safety kit, with the standard-fit Crosswind Assist system a particular highlight. It unobtrusively keeps the van from being blown into the wrong lane by any large gusts of wind. The usual equipment is offered, too, with ABS, ESP anti-skid control, brake assist and an anti-roll-over system. A brake-disc wipe system keeps the brakes clean of water and grime, while Lane keep assist and a blind spot system are both available as an option, too. Opt for trailer electronics and you also get a system that helps out with towing, intervening to stop the trailer from snaking. Optional anchoring rails in the load bay floor, side wall and roof frame are a welcome touch, if you are going to be hauling large items on a regular basis. The basic equipment on the Sprinter is acceptable rather than generous, helping to keep costs down. Getting a multi-function steering wheel, adjustable driver’s seat and Bluetooth is good, while cruise control is a very welcome addition. Beyond that, there is a huge array of kit on the options list, with a selection of packages designed to keep the cost of adding extras in check. One downside is the navigation system. While it's smart, it looks dated and is not intuitive to use, with everything controlled through a dial at the side, rather than being a touch screen. It doesn’t accept full postcodes, either, so inputting destinations is fiddly. The system on the new Volkswagen Crafter is much slicker to use. The name might not be new, but the Sprinter does a good job of offering a modern look and feel in the large-van market. It's also good to drive and offers a huge amount of choice in terms of body styles and equipment. The slightly disappointing fuel economy, and outdated navigation are the biggest downsides, but neither stop it being a great tool.